Tyree Guyton is an urban environmental artist who, since 1986, has been leading an urban arts movement in Detroit in and around Heidelberg Street in the city’s East End. Over almost three decades, the neighbourhood has been colourfully transformed into an indoor/outdoor art gallery. Guyton was inspired by his grandfather, Sam Mackey, to pick up a paintbrush and use it around his family home. The product was a multi-coloured polka dot rendering of the exterior. 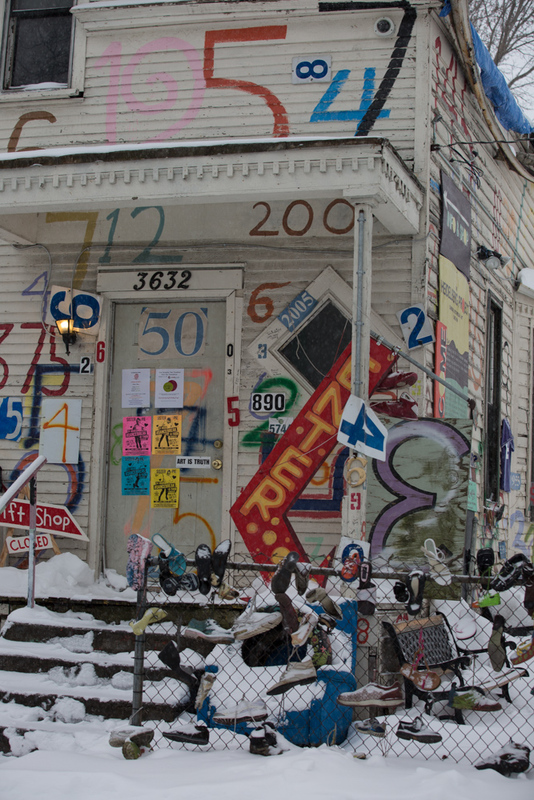 In what became the Heidelberg Project, Guyton worked with other artists such as Ernie Warrick, Tim Burke and local school children painting more buildings and creating sculptures from found and recycled objects in the surrounding vacant lots. Toys, shoes, clocks and more, collected and curated. Rich and funky, sometimes junky, stories crafted within a real, living canvass that have inspired creative thinking and actions on urban blight. The Heidelberg Project has been challenged with demolitions twice (in 1991 and 1999) and several house fires, widely thought to be arson. But it is still working on its program of art and education and community development, attracting more than a quarter million visitors annually to this urban environmental art gallery. 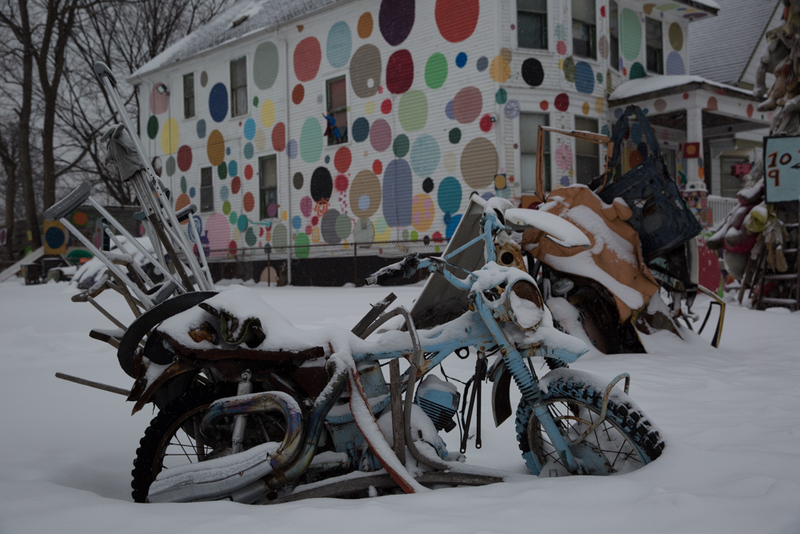 The Heidelberg Project can be visited any time of the year and is located at 3600 Heidelberg Street, Detroit MI, 48207. 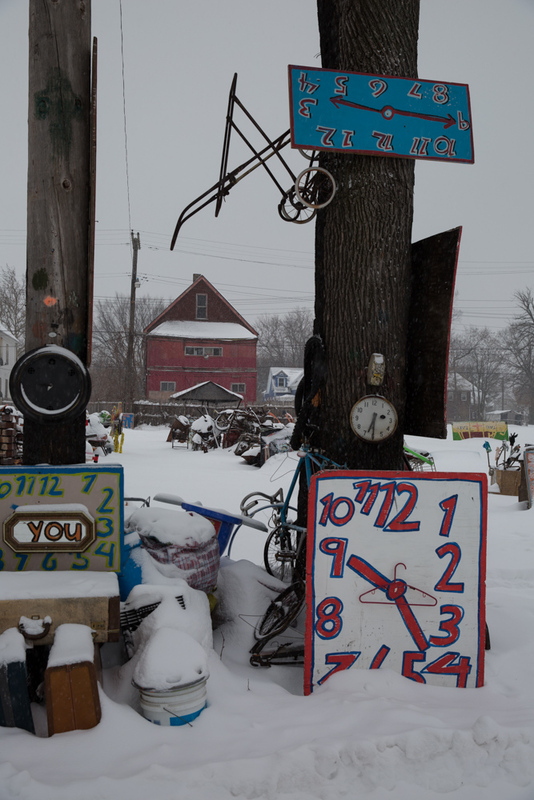 While the Heidelberg Project is copyright protected by law, photography is accepted for non-commercial purposes.